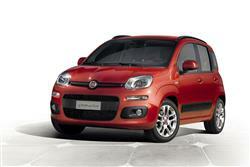 Find out everything you need to know on the new Fiat Panda from independent vehicle review website Car And Driving. You can watch the video review to the left to see more of the car or read their written review below to get a true insight from an expert in the automotive industry. In third generation form, Fiat's Panda is not only cuter but more sensible than ever. Jonathan Crouch reports. Almost every car you can think of on the market can be pigeonholed into a specific market segment. And even if it can't be, it's likely to appeal to a very specific group of customers. The Panda's different. Though sized and priced as a little citycar, it's so versatile and class-less that it can really function as.... well, almost anything you want. Depending on the flavour you choose, it's a design as suited to city living as it is to the needs of a mountaintop farmer. It can be a hot hatch - or eco-conscious transport for Friends of the Earth. It can be a second vehicle for older empty-nesters. Or the sole car for a rural family. Less a citycar. More an 'essential' car, it is, in the words of one top Fiat executive 'the official car for doing whatever the hell you like'. This is the Italian brand at its very best. This MK2 design dates back to 2003, but other small cars are only just getting round to matching its astonishing efficiency of space. And just as they do, along comes this MK3 model, longer, wider, taller, more efficient and in every way cleverer than before. Functional, solid, intelligent and free spirited, it's still, we're told, a car that thinks outside the box. Let's try it. There are three main engine choices for Panda people, an entry-level 69bhp petrol 1.2-litre unit, an 85bhp 0.9-litre petrol TwinAir powerplant and a 1.3-litre 75bhp Multijet diesel. Aside from engines and performance, there's plenty else for previous Panda people to appreciate in this third generation design. For a start, there's much more of a 'big car' feel to the way that it drives, thanks to suspension tweaks, greater torsional stiffness and a wider track. The result is that it turns into corners more sharply, rounding them with far less bodyroll than before, an experience aided by greater sensitivity from the electric power steering. It's a great deal quieter than before on major routes at cruising speeds too - in fact, Fiat says that cabin noise has been halved so you can have a proper conversation with someone while cruising at the legal limit. And that's something that makes you far more likely to want to take on a longer journey. As for the rest, well as before, many of the underpinnings are shared with those of Fiat's other, more fashion-conscious citycar offering, the 500 - which is no bad thing as that car is a pretty fun steer, especially in an urban environment. Somewhere this Panda is just as at home. True, the five-speed gearbox could be a little more precise, but you'll appreciate the way this car now takes even the nastier small urban bumps in its stride. And delivers neat little touches like the steering's 'City' mode option to increase the assistance it gives at parking speeds so that you can use the tight 9.3m turning circle more easily. Urban-friendly through and through you see. Mind you, country types can also consider a Panda by looking at the endearing 4x4 version, offered with 0.9-litre petrol TwinAir or 1.3-litre Multijet diesel power. There's was something of a feeling of tiny MPV about the previous generation version of this car. There still is. It remains a tall car, with a vertical tail, a five-door-only shape and a large glass area, bigger than before (slightly longer, wider and taller) but sat upon the same wheelbase, so the roadway footprint remains basically unaltered. As for the friendly new look, it's based upon what Fiat's designers call 'a squarical' theme, rounded rectangles in vogue everywhere from the headlamps to the front air intake, from the wheelarches to that trademark extra third rearward side window. The squarical touches continue on inside. You'll find them in the instrument binnacle, on the steering wheel boss, the ventilation controls on the centre console - even on the seats where embossed rounded squares are there to better help air circulate between your body and the backrest. The dashboard itself is enveloped in a colourful frame of your choosing with a roomy storage pocket in front of the front passenger supposed to evoke a nod towards original Eighties Panda motoring. Overall then, a cabin of much higher quality than before - far nicer indeed, than you'd expect a car of this class and price to provide. Storage for bigger items is taken care of by a 225-litre boot that's significantly bigger than before. As for rear seat passenger space, well thanks to slimmer seats, it's now better and perfectly adequate for a couple of fully-sized adults. You'll probably be paying somewhere in the £9,000 to £13,000 for your Panda, once you've allowed for a few well-chosen extras. Think carefully about whether you really need to pay the £1,200 premium to graduate from the entry-level 8v 1.2-litre petrol model to a car like the 85bhp turbo TwinAir petrol variant I've been testing here - and there's an even bigger £2,200 jump to go from the base variant to a 1.3-litre diesel Panda with the same spec. Many customers will be better off sticking with the entry-level model and spending any remaining funds on some well chosen extras. If you're looking at the 4x4 models, then you'll need to factor in a premium over around £2,700 over similarly specified 'Lounge' models equipped with the same engine. I'd want to consider the Low Speed Collision Mitigation system. This uses a laser sensor on the windscreen to scan a space a short distance in front of the vehicle to determine the risk of a collision. If a potential crash situation is detected and the driver doesn't respond, the system can activate emergency braking at speeds of less than 18mph or if you're going faster, at least slow the car down to minimise the impact. Clever. As for safety, well it's disappointing to find ESP stability control only offered as an option, though when you do specify it, you also get a Hill Holder clutch that stops you drifting backwards on uphill junctions. You'd certainly expect this Panda to be at or near the top of its class when it comes to the issue of running costs. That's asking a little bit much of the entry-level 8v 1.2-litre 69bhp petrol engine: it is, after all, one of Fiat's older units. Still you can expect to see 57.6mpg on the combined cycle and 113g/km of CO2, which isn't too far off the kind of returns you get from rivals with more modern powerplants. Where this Fiat really scores though, is if you're able to stretch to a version with petrol TwinAir power. The 85bhp Panda TwinAir we tried doesn't require a diesel premium to buy and runs on petrol yet despite its pokey performance, manages 67.3mpg on the combined cycle while putting out just 99g/km of CO2. Go for a 4x4 model with this engine and those figures take quite a hit - down to 57.6mpg and 114g/km. Those that really do want a diesel may be a little frustrated to find that the 1.3 Multijet unit offered to Panda people isn't the 95bhp engine available in Fiat's 500 but the slower but still thirstier 75bhp unit. Like the turbo MultiAir, it returns 67.3mpg on the combined cycle, but its CO2 returns are higher at 109g/km. With the 4x4 version, the figures are 60.1mpg and 125g/km. Both TwinAir and Multijet buyers get a Start&Stop system that cuts the engine when you're stuck in traffic or waiting at the lights. And a gearshift indicator to help you with optimum change-up points. Loved by small car people the world over for more than thirty years, the Panda continues to define everything that a very compact multi-purpose model should be. It's had to evolve of course, with more efficient engines and clever technology. But its heart remains simple, functional and innovative. Which is why, while other citycars will please only citycar folk, you could imagine this one being bought by.... well, just about anyone. A few other rivals may be a little cheaper, more refined or slightly trendier but few push the boundaries of design quite like this Fiat. It happily challenges just about every tiny car perception in the book. That you can't get really impressive fuel and CO2 figures without forking out loads of money for a diesel. That you can't seat five in this class of car. Or carry really large items. Or get big car hi-tech features. Panda people think differently thanks to a car that lets them do just that. It's got tough competition these days, no question. But in a growing segment full of talented offerings, it's a key contender you just can't help liking.